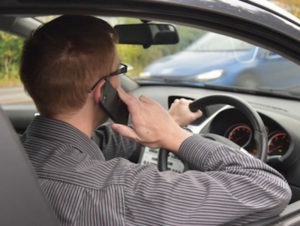 Drivers in Scotland are increasingly using hand-held mobile phones for phone calls, new research indicates. However, a separate survey by Transport Scotland on seatbelt usage brought more positive results. The research recorded the behaviour of more than 7,000 vehicle occupants and found the proportion of all drivers recorded using a seatbelt in 2017 was 97.3%, up from 96.4% in 2014 and 95% in 2009. The survey found that female car drivers were somewhat more likely to wear a seatbelt than their male counterparts (99.4% compared to 97.9%), and seatbelt use was generally high amongst car occupants of all ages. Wearing rates for ‘other vehicle’ (vans, lorries, buses, coaches, and mini-buses) drivers has increased from 88.5% in 2014 to 92.5% in 2017. However, wearing rates for ‘other vehicle’ drivers remain lower than for car drivers (98.6%).